Born at Noyan, Quebec on 10 September 1848, second son of Amos Hawley Vaughan and Nancy Smith, brother of Manitoba land surveyors Josephus Wyatt Vaughan and Amos Charles Vaughan, he came to Selkirk in 1876. Three years later, he married Mary Elizabeth Cowley (1858-1938), daughter of Rev. Abraham Cowley. They had no children. 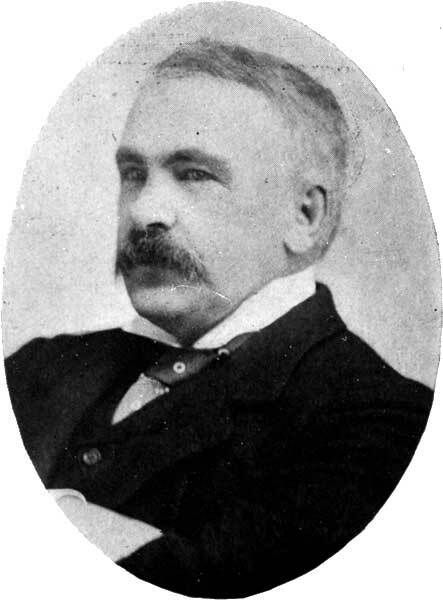 He was Mayor of Selkirk in 1902 and also served as town registrar. A member of the Masons, he served as Grand Master of the Selkirk Lodge and also the Grand Lodge of Manitoba (1914). He died at Selkirk on 25 August 1937. “Former Mayor of Selkirk dies in his 90th year,” Winnipeg Tribune, 25 August 1937, page 4.